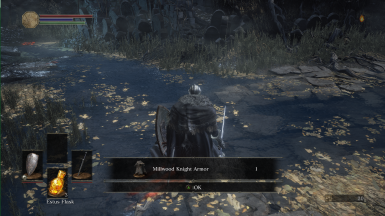 I was using the mod with only the ashes of ariandel installed. 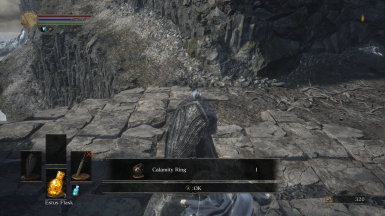 Now I bought the ringed city and was wondering if I have to run the randomizer again to include that DLC's items or wil it mess with my save file and game? 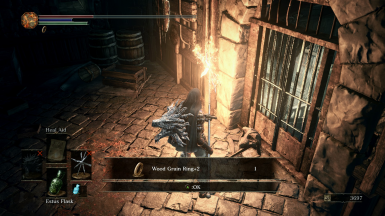 I would assume that the randomizer does every item in the game regardless if you have dlc or not (possibly locking you out of some stuff...just a guess). It would be worth a shot to try it out and see if it has been randomized or not therefore answering your question, i wish i could say for certain but cant :(. The randomiser includes all of the items in the game, plus DLC items. Even if you don't have the DLC you can get all of the DLC items, so there's no need to re-randomise if you haven't already. Still, Adore this mod to pieces. Nothing else comes close for replayability! 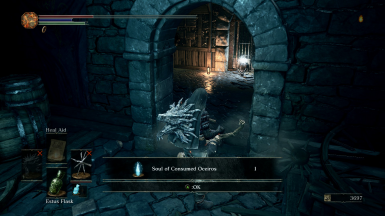 Is there any chance you're willing to add an optional version where Estus Shards and Undead Bone Shards are not randomised? Just for the sake of ensuring some playthroughs don't end up becoming unfinishable for all the mortal players? Thanks for the feedback, I'm glad you're enjoying the mod. I can add this with just a few lines of code and a new option in the .ini file, I'll try and have it out by the end of the day. Edit: I've added it and uploaded it as version 4.06. Is it too soon to say 'I love you'? Any plans of adding randomizing of what merchants are selling? Sorry I have no plans on doing this at the moment, but I will look into it for a future update when I can work on the mod again. How can i deinstall the randomizer? 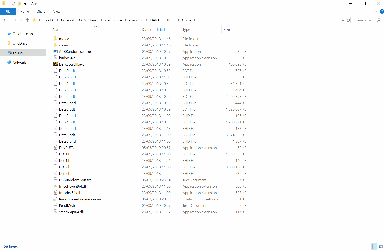 Do you have the list of drops that generates randomly in the DS3RandomAoB.txt file? And in that case, whould you share it? I'm playing this mod with the ordered list of drops from 1 to 1600 and i'm taking notes of the numbers one by one, just because i whould like to have that data. If, for some reason, you don't want to share it, i will keep it only for me. Is it possible to remove spell requirements as well? It would be possible, but I have no plans on adding that in the near future, sorry. Can/Does this mod also randomize enemies? If not, do you know what mod does randomize enemies? I was watching UberHaxorNova on Twitch using this mod the other day along with random enemies but I can't find a separate mod that randomizes enemies so I'm not sure if I'm missing something. Thanks! 1. Is it 100% random? for instance will I see the same items in the same spots across all characters I play? 2. Does the item pool effect all character slots? for example if i pick up an item from it's "set spot" after the randomiser does it's thing will another if i play a different character at the same time will it not be able to get that same item because it's been removed from the loot pool? I guess i'm asking if all characters share the exact same loot pool or does it generate one for each character? 4. Does this randomise enemy drops or are they still the same? Will I still get the same armour and weapon drops from enemies along with farmable material drops? 1) The items are randomised based on a seed, so if you use the same seed then the 1st, 2nd, 3rd etc.. item that you find will be the same. 2) The item pool is independent of character slots, so will be shared by all of your saves. You will need to refresh the item pool however if you wish to use it again. You can do this by remembering the seed generated and using it again. 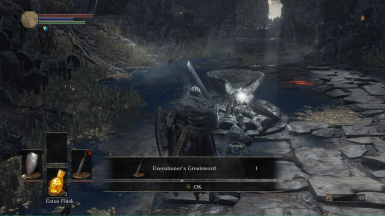 3) Yes, you will find both boss weapons and boss souls. The item pool contains every single item in the game (apart from a few key items that aren't randomised). 4) Enemy drops are also randomised, and will follow the same rules as regular items you find. 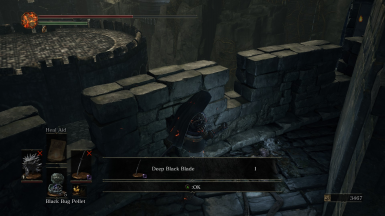 For example if you kill 2 of the same enemy one could drop a Knight Shield and the other could drop Gael's soul (enemy drop tables are overruled by this mod and do not exist.). Thanks for the quick reply! I just re-installed the game for this mod because I always wanted to do a "use what you find" play through and this just makes it even more fun. Once the list is finished (~1600 items), it'll start picking items at random. It's up to you whether you want to refresh the list or not. If you do refresh it and use the same seed, you'll get the same items but if you generate a new one it should all be shuffled again. Does the pool of items include cut content? I'm using mods that add them back in and was wondering if I would run into them. Cut content items are not in the item list, sorry.